Gather and Grow at The Farm at South Mountain is an urban-agriculture oasis with a focus on sustainability practices and education. Gather and Grow at The Farm is located in the heart of The Farm District of Phoenix at the North end of The Farm property. This multi-faceted space includes The Learning Garden, a citrus orchard, a vermiculture bin, and a greenhouse with an aquaponics system. Gather and Grow is a space for the community to learn about self-sustainability and organic practices. The Farm believes that this growth in agriculture education is pertinent for healthy and happy lives. Each season, Gather and Grow provides out-of-classroom education for hundreds of students both in public and private schools. Gather and Grow provides opportunities and facilities that foster a learning environment focused on sustainability and gardening. 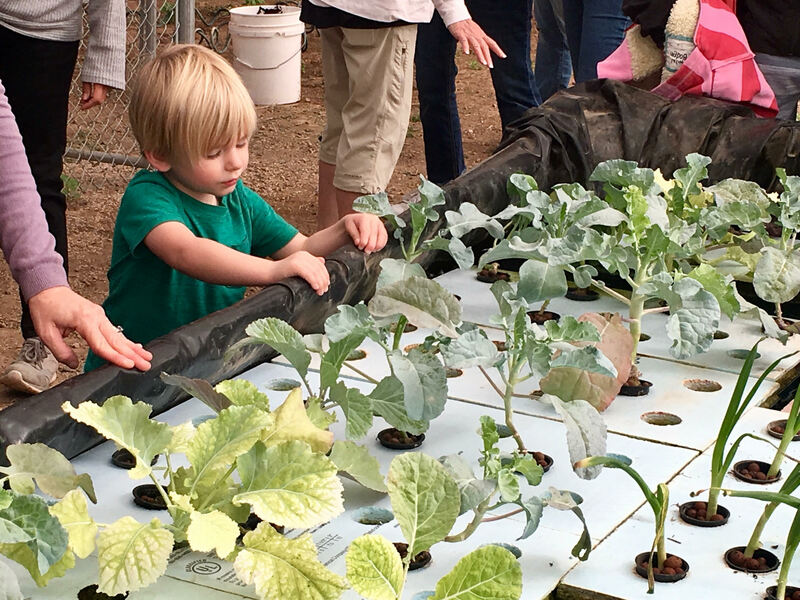 Gather and Grow has partnered with Phoenix’s sustainability and urban agriculture leaders and teachers to provide hands-on, garden experience, resulting in inspiration and innovation within our community. The vision for Gather and Grow at The Farm at South Mountain is to be a model of sustainability for the South Mountain and Phoenix community. Through farming, gardening, composting, and aquaponics programs, we strive to be a focal point that exemplifies sustainable practices on all scales. 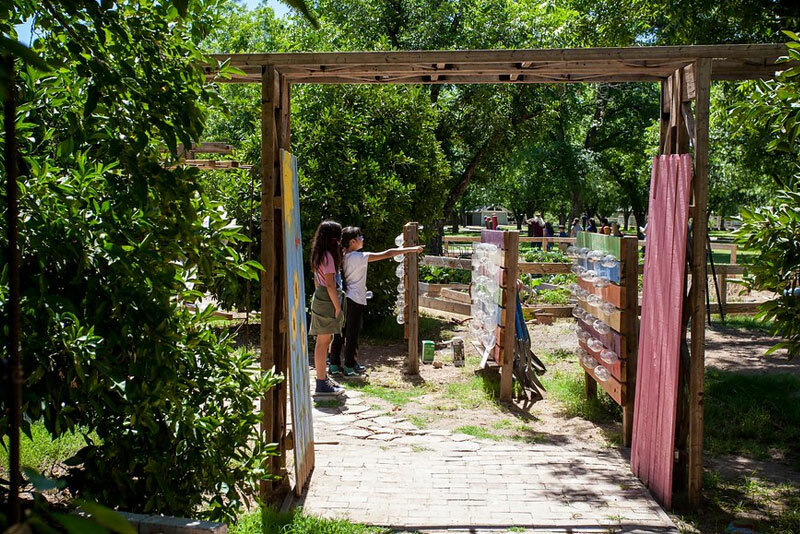 Gather and Grow is a partner of the Arizona State University School of Sustainability with the The Farm at South Mountain Sustainability Fellows. 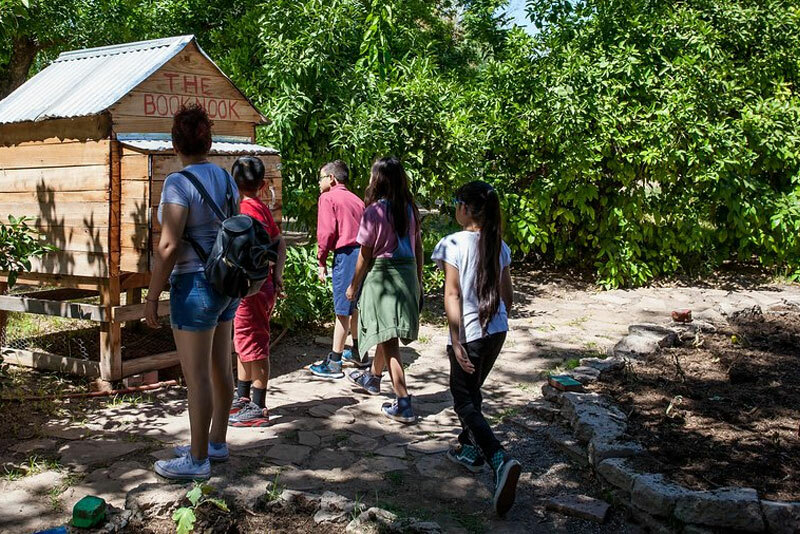 Each semester, students from this college work directly with The Farm to create curriculum and host children, maintain Gather & Grow’s gardens, and create community connections. Is your school or organization interested in touring Gather and Grow at The Farm? Please fill out the below form. 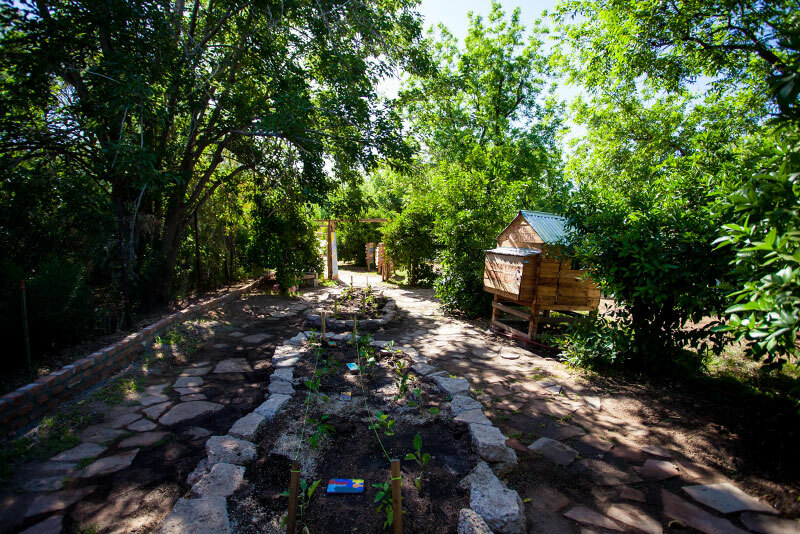 Located in the North Grove of The Farm, The Learning Garden is a place for the community to gather and become educated on self-sustainability and gardening. This garden was created by students, for students and is home to several plant species each season. 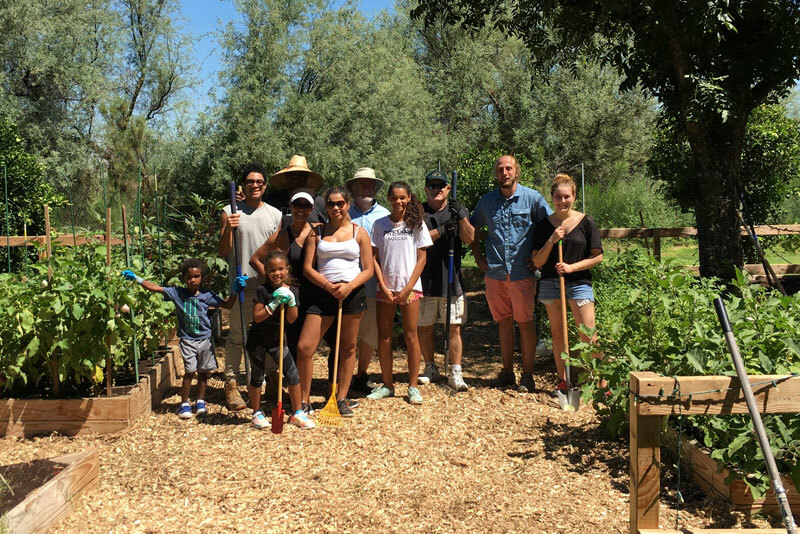 Interested in volunteering in The Learning Garden? Please email gatherandgrow@thefarmatsouthmountain.com for more information. Come explore this space to learn how to build an inexpensive garden in your own backyard! This garden was created in partnership with Valley Leadership Class 39, SmithGroupJJR using upcycled objects and simple techniques that are easy and fun for families to recreate at home. Gather and Grow includes an Aquaponics system in The Farm’s greenhouse building. This system was designed and is overseen by renowned local professor, Dr. George B. Brooks, Jr. of NXT Horizon. The Aquaponics program in Gather and Grow utilizes STEAM (Science, Technology, Engineering, the Arts and Math) education that correlate to the curriculum that students are learning in the classroom. This Aquaponics system also shows a modern day take on farming and scalable food for homes in food deserts.